The Spanish government is to request help from the Vatican to transform the site of the tomb of fascist dictator Gen Francisco Franco into “a place of reconciliation”. 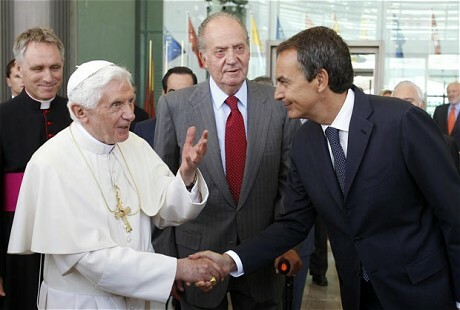 The fate of the Valley of the Fallen, a vast mausoleum carved out of the hillside north west of Madrid, is to be brought up in talks between Socialist Prime Minister Jose Luis Zapatero and Pope Benedict XVI during the papal visit to Spain. The socialist government made an electoral commitment to tackle the continued existence of the monument to the late dictator, which was built using forced labour by prisoners of the regime and contains the remains of tens of thousands of those who died on both sides of Spain’s 1936-39 Civil War. Like the 150 metre granite cross that towers above the tomb, the site still casts a dark shadow over Spain some 36 years after the death of Franco. The basilica, which is maintained by Benedictine monks, still attracts supporters of the Franco regime who attend religious services there. But relatives of those who died on the losing Republican side and whose remains lie in unmarked graves within the mausoleum have called for the graves to be exhumed and bodies returned for burial elsewhere. Others have called for the place to be demolished entirely or turned into a Historical Memorial centre which recognises both sides of the conflict. A commission established to propose ways in which the site may be made acceptable to all Spaniards was set up by the Socialist government in May but it is unlikely to reach a conclusion before general elections, which were brought forward to November. Ramon Jauregui, the minister for the Presidency, said the matter would be brought up with Vatican representatives during the papal visit. 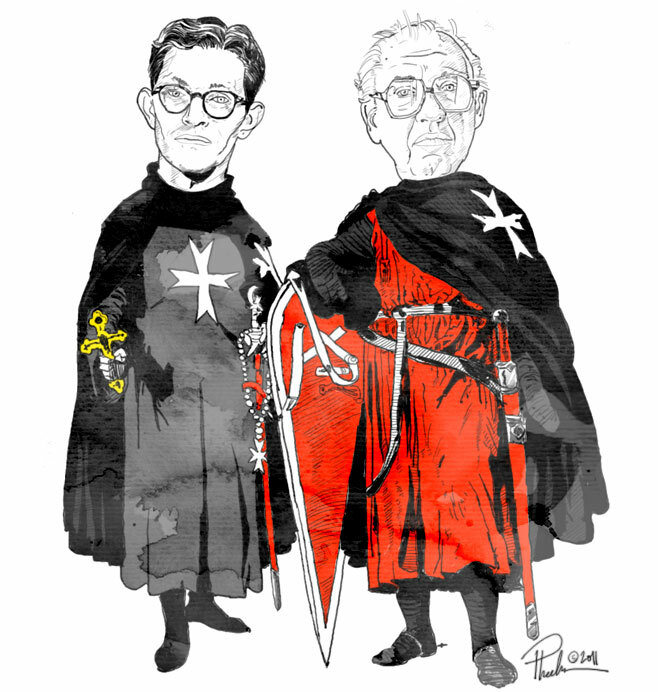 He said that because the site is run by a Benedictine order, “the Vatican may have an interest in its fate” and that he hoped there would be “support in its transformation to a place of reconciliation”. But the Historical Memory Association which campaigns for the recognition of victims of the Spanish Civil War and ensuing 36 year dictatorship condemned such a move. A giant sculpture of the late Pope John Paul II has come under attack by Romans who believe the structure looks more like Benito Mussolini than the popular former pontiff. The highly abstract sculpture, which portrays John Paul in an ecclesiastical robe with his arms outstretched in a gesture of welcome, was unveiled this week in the large piazza outside Rome’s main railway station, Termini. Gianni Alemanno, the mayor of Rome, described the work as “modern and evocative”. With its bald head and beetle brow, the statue, which now dominates one of Rome’s biggest squares, bears distinctly Churchillian features, although Romans were struck more by its resemblance to Benito Mussolini. “How could they have given such a kind pope the head of a fascist?” said 71-year-old Antonio Lamonica. His wife called it “ugly, really ugly.” Antonio Stampete, a Rome city councillor, said: “Installing this outside Rome’s most important travel hub, where thousands of Italian and foreign tourists arrive every day, is embarrassing”. The Vatican itself has criticised the work, despite the Pontifical Commission for Culture approving the original sketches. L’Osservatore Romano, the Holy See’s official mouthpiece, saying the 16-ft high bronze sculpture’s hollow form meant it resembled a “sentry box”. 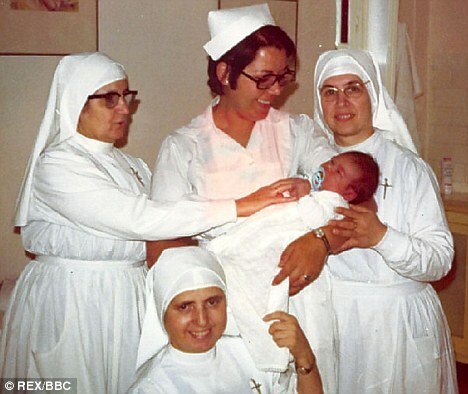 The newspaper said it bore little resemblance to the Polish Pope, who died in 2005 and was beatified in a lavish ceremony in St Peter’s Square on May 1. But L’Osservatore Romano said the sculpture looked as though it had been gashed by a bomb explosion and that the Pope’s head was “excessively round”. 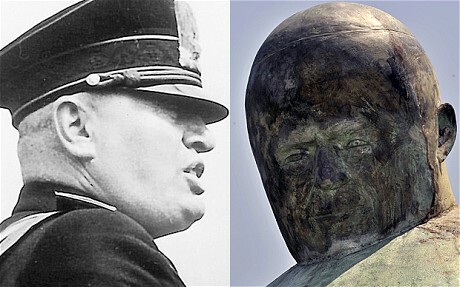 There was only a distant similarity between the sculpture’s features and those of the Polish pope, the newspaper said. “For people exiting the railway station, it appears like an enormous but indistinct monument rather than an unmistakable homage to John Paul II,” the newspaper said. In an online poll by Corriere della Sera, more than 90 per cent of readers said they did not like the sculpture. The railway station is a focus for drifters, the homeless and illegal immigrants and many locals predicted that it will be only a matter of days before the sculpture is used as a sleeping shelter or as a place to dump beer bottles and other rubbish. The sculpture, by Oliviero Rainaldi, an Italian artist who has worked for the Vatican for more than 30 years, was unveiled on Wednesday to mark what would have been John Paul’s 91st birthday. The sculptor defended the work, saying he had wanted to create something contemporary, rather than a realistic rendition “in the style of the 19th century”. 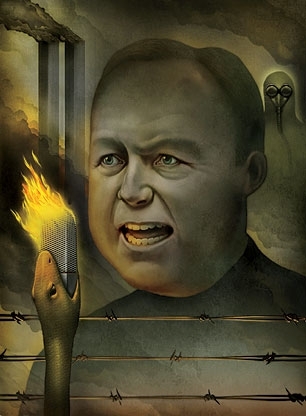 A new Rolling Stone Magazine article written about talk show host Alex Jones set to be published this month reveals how he has been heavily influenced by the John Birch Society. Before we get into some of the quotes from the article, here is a quick primer on the many questions surrounding the credibility of this organization. The John Birch Society is essentially a controlled opposition front group that was started by people tied in with globalist institutions including the Council on Foreign Relations, the Federal Reserve and the Internal Revenue Service. The late author and researcher Eustace Mullins who was the first to expose the fraud and criminal nature of the Federal Reserve stated on several occasions that the John Birch Society was actually started by money from the Rockefeller family who of course have been major promoters of globalist ideologies. Robert Welch who was the primary founder of the John Birch Society was sympathetic to the National Association of Manufacturers which has historically promoted fascism. The political stances of the John Birch Society on the attacks of 9/11 and the phony terror war have been in lock step with establishment mainstream rhetoric which raises even more questions. Their long term promotion of anti-Communist rhetoric throughout the Cold War was used to give credibility to the fake Communist threat which enabled the expansion of the military industrial complex which is now being used to push ahead the New World Order agenda in a big way. There are also many questions about early John Birch Society members and their links to the secret society of the Freemasons. Shoppers at Walmart will soon have something other than glossy magazines and chewing gum to look at when in the checkout line: A “video message” from the Department of Homeland Security asking shoppers to look out for “suspicious” activity and report it immediately. 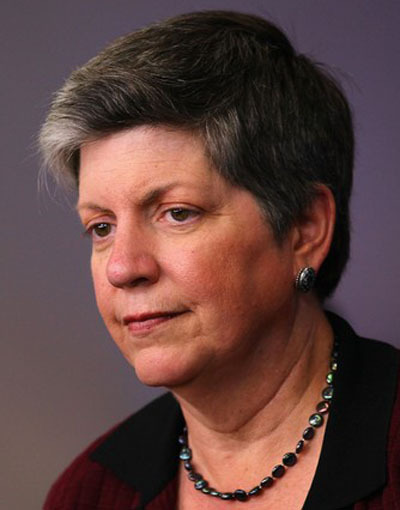 It’s part of a new Department of Homeland Security program that could see Homeland Security Secretary Janet Napolitano’s face on video screens in malls, retail outlets and hotels across the United States. The Walmart video, which will soon be launched at 230 locations nationwide and may eventually be expanded to nearly 600 locations in 27 states, features Napolitano thanking the retailer by name for participating in the program. The video, which doesn’t appear to offer any advice on what constitutes “suspicious” activity, is part of DHS’ “If You See Something, Say Something” program. It was launched originally in the New York City public transit system and, according to the DHS, is about to go nationwide. Besides Walmart, the program has partnered with Mall of America in Minneapolis, the US’s largest mall, as well as the American Hotel and Lodging Association, rail operator Amtrak, and the Washington, DC, public transit system. “In the coming months, the Department will continue to expand the ‘If You See Something, Say Something’ campaign nationally with public education materials and outreach tools designed to help America’s businesses, communities and citizens remain vigilant and play an active role in keeping the country safe,” DHS said in a statement. The following video was posted to YouTube by the DHS.